Welcome to our fourth block from Pat Sloan in her FREE 2014 Mystery BOM! For April Pat is taking us to the wonderful gulf city of San Juan, Puerto Rico! This month's block was inspired by the historic fortresses in that gorgous port city. Take a cruise with us through the resources Pat has put together for you this month, and feel free to share on Flickr after you create YOUR block! 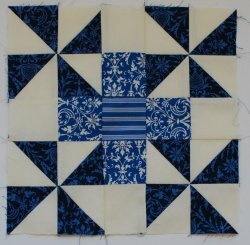 Download BOM Materials List and Block Four Pattern! 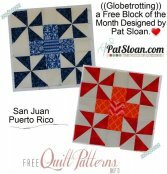 Click Here to download the PDF of the pattern for Block Four: San Juan. 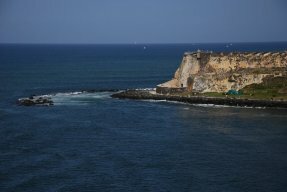 I've been to the old town of San Juan several times, and each time I visit I discover something new. 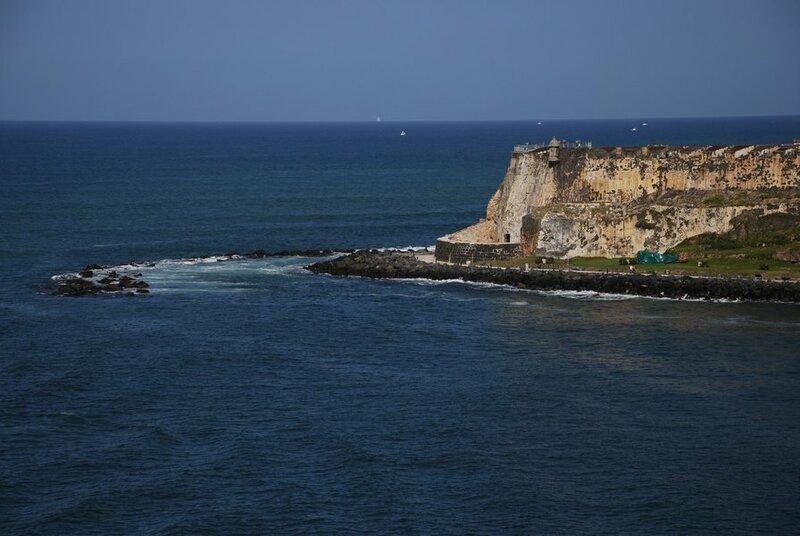 The city is the most beautiful port to sail into on ship, I took this photo of the old fort. 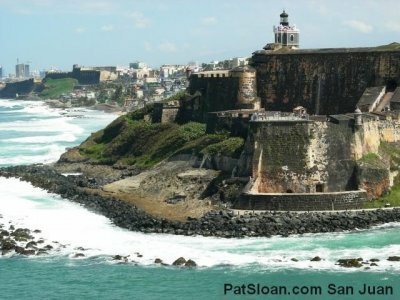 Old town has two incredible forts. My block is inspired by those old forts, built to protect the city. My pinwheels are the for corners and then the middle is the courtyard, the hub of the fort. Besides the forts, the city is super vibrant with loads of interesting places to eat, shop and just absorb. I love exploring the streets and the architecture. The outdoor farmer markets are so fun to walk, and you might catch an impromptu street dance as there is always a bands playing. It's a magical place!